I have always wanted to be a stay at home mum. I think I am good with kids, and that eventually led to me train as a Primary School Teacher. But what I really wanted was children of my own. So as soon as I found out I was pregnant, there was no question in my mind – my career was going on hold. Seven years down the line, I find myself in turmoil – is this still what I want to do? I think the biggest factor in my decision to be at home, is that my mum was a stay at home mum. She was always there for us. She got us ready for school in the morning, and she picked us up at teatime. She did jigsaws with us and coloured in. We had silly games that only our family knew. My mum always helped out at the school fairs and she was at every parent assembly. She took us to swimming lessons on a Thursday evening and cheered us on at sports day. Wherever we needed her to be, she was. It was a given. When my youngest brother started school, mum took up a part-time job. But it was only during school hours. I would walk over to meet her after school and we’d chat about the day as we wandered home. I didn’t question it as a child. I just thought it was what mums did. Now I realise what a sacrifice she made for us. I want to give that to my children. So here I am; seven years into my own parenting journey. I have been a stay at home mum the whole time and I have loved it. 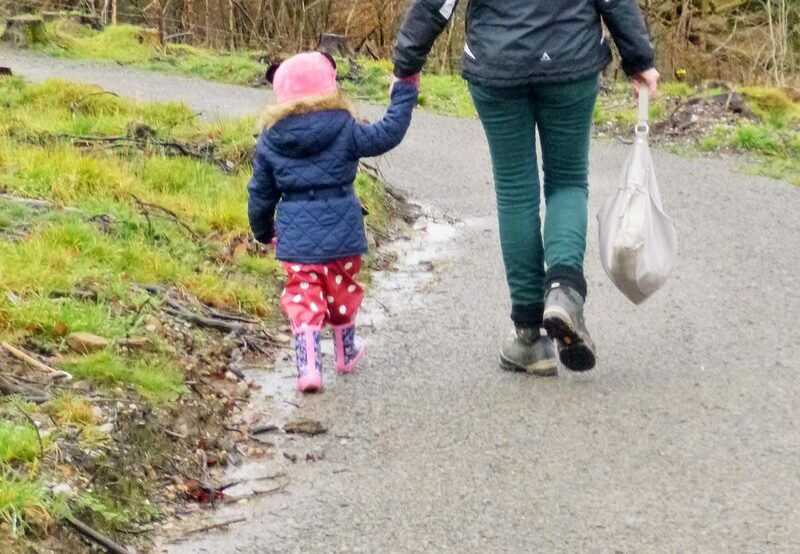 I have been privileged to see all of my children’s firsts – from starting to walk to starting nursery. I know the names of all their teddies and the characters in their favourite TV shows. I have been able to watch them in school concerts and play board games with them. I know that “men-go” is my daughter’s flamenco dress and that “yesterday” is any time other than the exact moment we’re in now! We have had so many giggles and adventures. They have taught me to see the world through eyes of wonder. But there is an uncomfortable thought that has been niggling in the back of my mind recently. It has pushed me to tears in recent days and makes me question everything I am about. 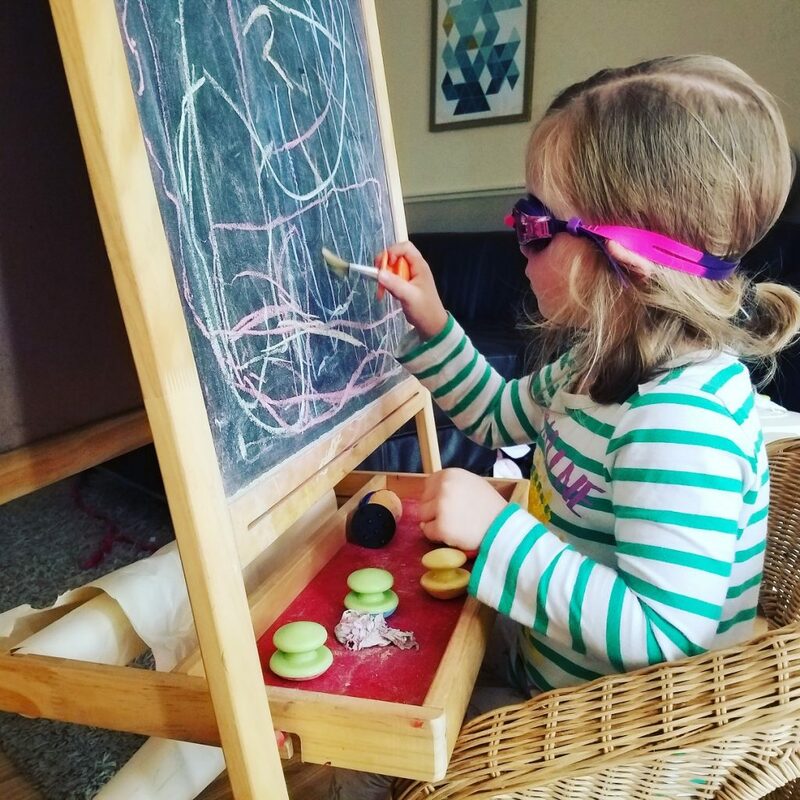 When I started blogging, almost 18 months ago, I had no idea about the monster I was about to bring to life; a time-guzzling, thought-encompassing, life-encroaching monster. If I had known, I don’t think I would ever have started. But I did start. And I am in too deep now. I fight valiantly to keep my days clear of blog work, limiting it to early mornings, Charis’s naptime, and those precious hours once the girls are in bed. But it’s just not enough time! I feel like I’m trying to clear a space in the bottom of a sandpit – those grains of sand just keep tumbling back down and covering the green, plastic floor. The run-up to Christmas was manic. 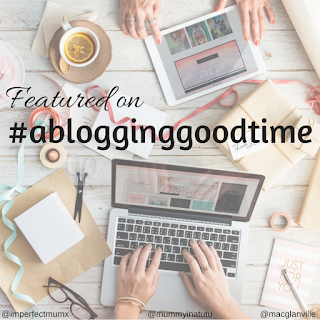 I was essentially working 2 full-time jobs – one as a stay at home mum, and one as a blogger. I tried desperately to keep the two separate but with deadlines looming, gift guides to be written, contracts to fulfill, I had to cave in. I had no choice but to resort to plonking the girls in front of the TV from school pick-up until tea time. This time, the blog was encroaching too much. 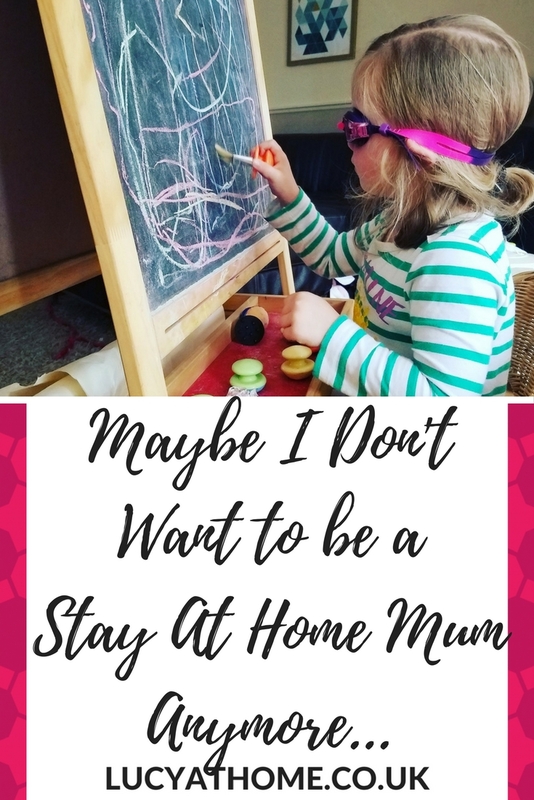 What is the point of being a so-called “stay at home mum” if I’m not even engaging with them?? I am the worst stay at home mum ever! I tried to justify it – the run-up to Christmas is a busy time for parenting bloggers and I am desperately hoping that it will be quieter once the festive season is over… but what if it isn’t? What if that was just the start of a crazy busy career path that will continue to drag me from my family and demand ever-increasing amounts of time and dedication? And yet, at the same time, (if you can allow me to be totally honest) there is a little pull there. Maybe I don’t want it to quieten down? I feel proud of the business that I have built up from scratch. I am enjoying being sought after by brands and negotiating terms. Writing my blog gives me back a sense of identity – I am “Lucy” instead of simply “Jenny’s Mum”. I am a person in my own right, with opinions and influence and skill. I feel so keenly the irony of drafting this blog post while my 3yo climbs over my head – she is desperate for attention and the only response I can give is “mummy’s just working at the moment”. I am torn in two. Maybe it will be easier now that Charis is in nursery. But maybe it won’t. She is only doing 15 hours a week, which won’t even cover half of the hours I need. Do I need to face the reality that I am not a stay at home mum anymore? Can I bring myself to admit that I have career aspirations beyond being a mummy? Do I dare say that part of me wants to put my own desires in front of my children’s? I feel so ashamed to write those words. That is never what I set out to be as a parent. 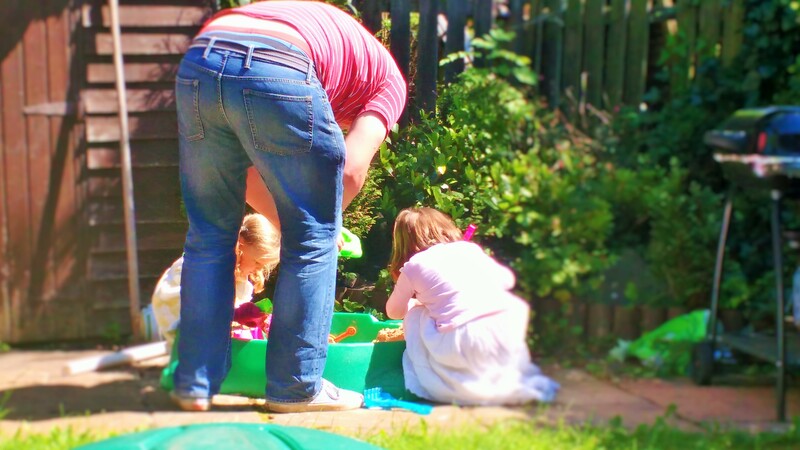 And deep down, I know that my children will always be my priority… but there is still that lingering thought – where could blogging take me…? I always figured that, having had children young, there would be plenty of time to have my own career once they had grown up. And yes, in theory, that’s true. But this blogging gig has landed in my lap – should I throw the opportunity away because it has come “too soon”? I have never been any good at going “part-way” – I either need to be all in or not at all. So which should I choose? What direction do I want to take my life in? Have I lost my way? Have I betrayed my children? Have I been tempted away from my principles? Should I cut out the blogging? Could I cut out the blogging? 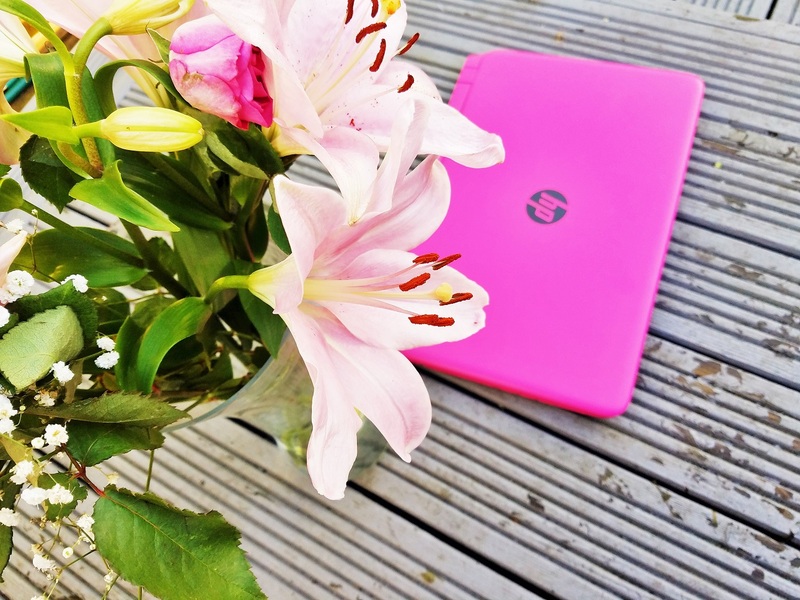 The girls get so many perks from my blog, but is that enough to justify a mum whose attention is divided? I have no answers, but I do know that life never goes to plan. We just have to chart our course as best we can and hope for the best. Watch this space…! This might sound trite, but as dilemmas go this one isn’t the worst. You created it by obviously being good and BOTH, blogging and being a mum. There is also a natural window when the kids will both be at school, so you are preparing the way for that really, when you can devote more time anyway to blogging. In the meantime, it’s amazing how adaptable kids are, especially if you have a good creche or minder> Your kids will actually enjoy expanding their horizons and engaging with new people for longer. Of course they will tug at your heartstrings but when it comes to it they can adapt to the new regime, whatever that is. It’s not as if you won’t still be spending hours with them every day anyway! Be proud! You aren’t letting anyone down by keeping a little of you. You are succeeding where others haven’t and you’ll still be there for all those important sports days, drop offs and nativities but keep a little something for yourself. Wouldn’t you want that for your daughters? I am also a stay at home mum and spent the last few years very engaged with my two children. The youngest started at full time school a few months ago and I was devastated, utterly bereft. I actually cried every day for the first week or so, then started a blog a few weeks ago. Although nobody reads it yet and it’s rubbish so far, it has filled my days and given me a sense of daytime purpose. So I recommend you carry on juggling for now, maybe buy a few hours extra day care a week if you need it. Once your little one is in big school, you can have the best of both worlds: plenty of time for your creative outlet AND time to go to school assemblies and play the puzzles and games after school. I feel this so often Lucy, it’s as though you took the words from my mouth! While I feel terrible for telling my son to do self-play or just let him watch TV because I’ve got so much blogmin to finish; I also feel proud that I’m kinda juggling two roles now and to be honest, as time-consuming and tiring as it is, my blog has given me a new sense of purpose, an identity other than mum. So now when I feel overwhelmed by it all, I remind myself that I’m not a SAHM anymore but a Work-at-home-mum! PS: Your blog has grown leaps and bounds and if you enjoy it and it makes you proud, don’t give it up. Just prioritise and plan ahead:) Good luck honey. I’ve been home now almost 7 years and I feel the same exact way. I’ve only been blogging for a year or so though. Ever since blogging I also feel like I have an identity again. I feel heard. I see a future ahead too. So no, don’t be ashamed. Maybe you needed it. The way I see it, us moms will always have mom guilt. Sending love and good vibes!